In the event of an accident or claim, whether or not you are at fault, we at Stuart Insurances (South East) Ltd aim to provide you with an easy, efficient and effective service. For guidelines on what to do, click on the tabs below, or contact us for more information and advice. Write down the other party’s details such as their policy number, Insurance Company (located on the Insurance Disc in their windscreen), vehicle registration, vehicle make/model and the drivers name. Write down any independent witness details including name, address and contact details. Make a sketch of the accident and brief notes as to the cause of the accident and/or if possible take photographs of the accident location and vehicles involved. Report incident, including any losses to us immediately even if you think you may not be at fault. In the event of a Theft claim please report same to the Gardaí immediately. Most insurers now use approved windscreen repairers. Please contact the office for details of your insurer’s approved repairer. Where necessary carry out emergency temporary repairs to prevent further loss i.e. to burst pipes, broken windows etc. In the event of a theft claim report same to the Gardaí immediately. Report the loss to us immediately. Obtain estimates to repair/replace property. 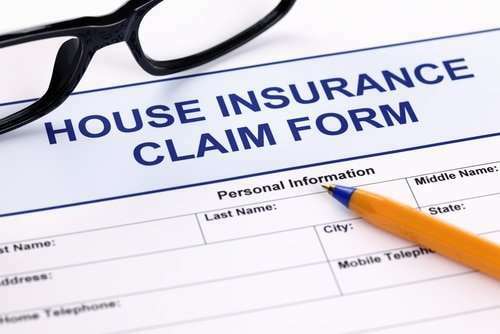 In some circumstances a completed claim form may be required; we will forward you a copy if your insurers require one. Take note of the exact circumstances in your accident report book/log.